At ReadyRosie, we continually create new content and new tools to support you in your partnerships with families. Here are some exciting new tools that the ReadyRosie team has put together for you to utilize this Spring and Summer as you think about all children in your school or program being ready for Kindergarten and ready for PreK. ReadyKindergarten Family Workshop AND ReadyPreK Family Workshop These workshops - in English and Spanish - help families explore how they can help their child be “ready” for school and how their home environment is the perfect place to encourage foundational social and emotional skills, motor skills, health skills, and readiness for language and math. All family workshops include PowerPoint presentations and facilitator guides in English and in Spanish and will be available by April 1. Ready for School Personalized Playlists The ReadyRosie Share platform allows schools and programs to create customized and personalized playlists that include videos in English and in Spanish that are targeted toward critical readiness skills. This communication platform allows personalized messaging and is a powerful way to give your families customized content throughout the summer! ReadyRosie Summer Soar All families who are signed up for ReadyRosie will receive ReadyRosie Summer Soar playlists in June and July 2018. These playlists were created by the ReadyRosie content team and are designed to prevent summer learning loss as well as boost summer bonding and learning. Kindergarten and PreK Round Up – Don’t let these events be just about paperwork! Many programs are offering the ReadyK and ReadyPreK workshop at their RoundUp events! Take advantage of this time to allow families to watch a few ReadyRosie videos and try out some of the fun and simple activities that will help their children be ready for success in the upcoming school year. Sign up your new PreK and K Parents with ReadyRosie – Create a “classroom” within the ReadyRosie Share platform that is just for your pre-enrolled K and PreK families. Send them their invitation immediately when they register, so you can even assist them in accepting the invitation! 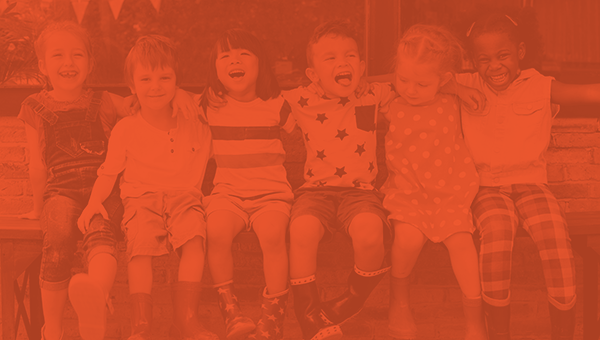 Send families PERSONALIZED school readiness playlists and messages – Imagine being able to reach your new PreK and K families with targeted ReadyRosie playlists that give them strategies for ways they can prepare their child between now and the first day of school. You can customize those messages so that they come from their “Kindergarten Team” or from the principal of the school! These personalized playlists can even remind families about key dates and other school readiness events in the community. ReadyRosie Summer Soar – Every family you sign up for ReadyRosie by the beginning of June can take advantage of our Summer Soar content all summer long. Imagine your families receiving consistent and “just in time” summer learning activities that they can do anytime and anywhere! Learn from the Data – This fall, you will be able to look at Kindergarten entry outcomes and compare those to the usage of ReadyRosie. What an opportunity to measure how these tools can have a direct impact on such a crucial indicator! This year, give the gift of school readiness to the families and the children who will soon be enrolled in your district and/ program.